"We got a call from the Kingston team leader Rachel Scotland earlier this year and she explained that they wanted to present Moladi in the Hult challenge. "Of course we were very supportive. We sent her a power-point to complement what she already knew about us. and she created a video titled ‘alleviating poverty through housing’, which is exactly what drives us. 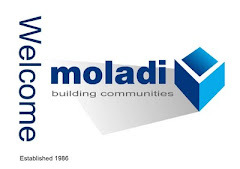 A tool and die maker by trade, Botes launched Moladi in 1986 on the back of two interlocking inventions: a plastic "formwork” to shape the walls, and a chemical additive to mix with the sand and cement. The additive ensures that, after the mortar has been poured into the formwork, and then set, the formwork can be removed and the brick-less walls will stand all that the weather can throw at them, Botes explained. Like Henry Ford’s Model T’s that offered a quality guarantee, through mass-manufacturing to exact specifications a blue-chip type specimen, Moladi promises exactly that with its "Model M”, he said. Cost is reduced because a single formwork can be repeatedly used. 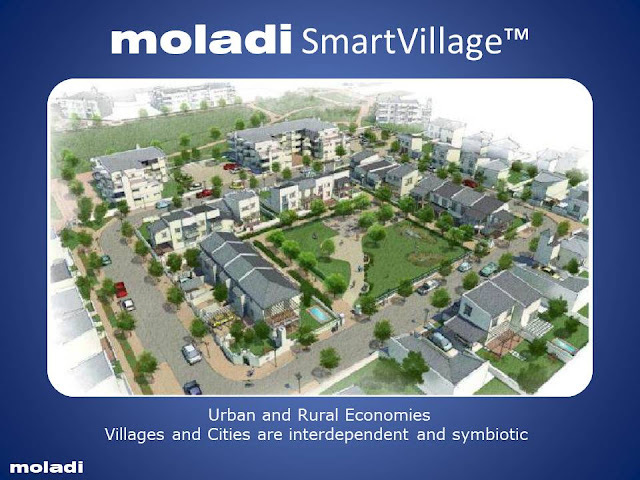 If the Moladi team tackles 50 houses, it will take 14 days to complete. But, with the carefully synchronised Moladi work plan, the next one can be finished a day later, and so on. In this way, up to 50 correct houses can be built in 64 days using just one formwork. The simplicity of the technique allows for skills to be transferred relatively quickly and easily. 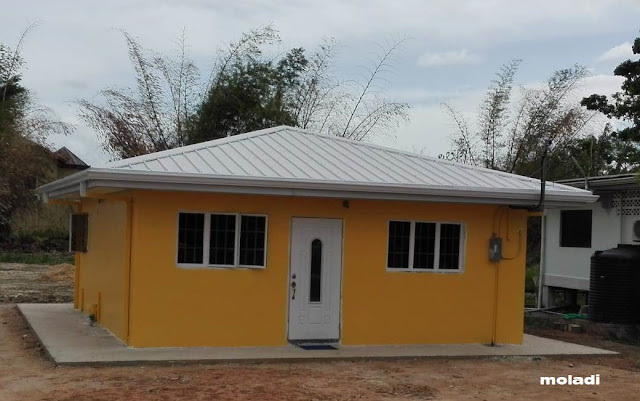 Efforts are made to use local members of each community creating each time not only jobs but, when the job is finished, because of the skills they take away with them, "housing entrepreneurs”. 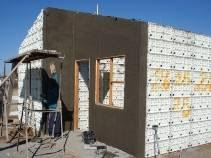 Moladi construction is environmentally friendly because the additive mixed with the special stone-less cement creates "cork-like” walls, and their thermal properties ensure less heat loss in Winter, and less heat trapped in Summer. This means in turn less expenditure needed on artificially controlling the temperature, and a reduced carbon footprint, Botes said. "It overtakes the old technique of making bricks and then having to transport that heavy load to the site, plus the breakages incurred and waste of plaster with the plastering phase. "There is R58-billion worth of badly built RDP homes to fix. Then there is the 2.1-million back-log of homes that must still be built. And you can add onto that another million "gap sector” South Africans who earn too much to get a state subsidy – and too little to get a bank-guaranteed bond. "And then there are the schools and clinics and other essential buildings, especially here in the Eastern Cape. To pull together this "golden thread”, Botes envisages a Moladi College, and he is talking to the authorities about the possibility of establishing this facility at Coega.